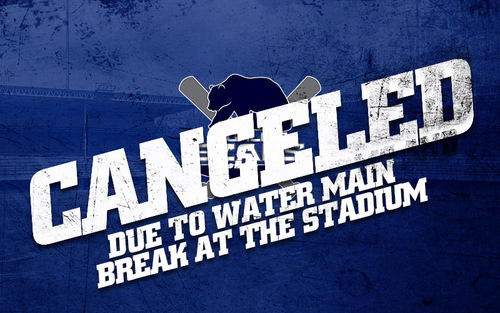 Sadly, tonight's game against the Redmond Dudes has been canceled due to a water main break outside the stadium. We are unable to have people in the stadium without fully running hot and cold water. We apologize for the inconvenience and all tickets can be exchange for another game this season. We will post an update tomorrow early in the afternoon about tomorrow evening's game.